Macarons from La Maison du Chocolat, photo credit Pricilla Martel It has been written recently that the macaron is the cupcake of the year. It seems that America is having a love affair with the French macaron! But I'll bet no one has ever done for cupcakes what my friend and colleague, Priscilla Martel, is doing for American Almonds and macarons: She and a girl friend did a tour of New York bakeries carrying macarons and created this google map complete with beautiful photos and fascinating information about macarons. What a delightful and enviable project. 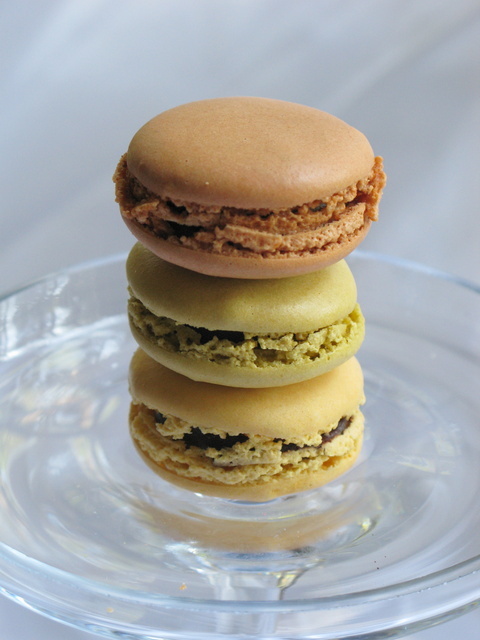 Here is an invaluable link all about macarons including a recipe and several tips and step-by-step photos. Priscilla and friend will be adding additional cities/bakeries in the new year.